1. Registration is open from the 20th of January 2019, and will be closed on the 15th of July, 2019. 2. Please keep in mind that the number of available places are limited. 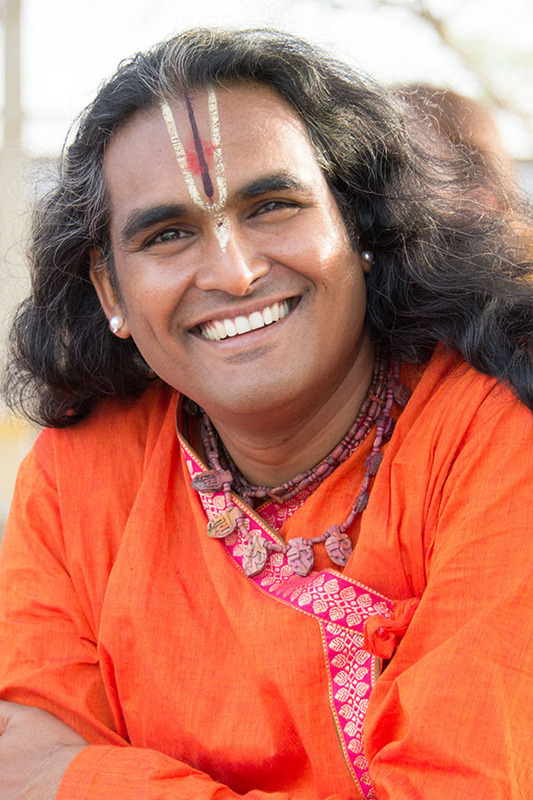 Paramamsa Sri Swami Vishwananda Himself will decide who will join the pilgrimage. We will inform you shortly if you were choosen for the journey or not. 3. If this registration form is not filled out and completed correctly, it will be deleted automatically. 4. Only after your first prepayment of 1500€ is completed, you will be officially accepted as a participant of this Pilgrimage. Otherwise, your registration will be cancelled. ATTENTION: Please be aware that your full name must be filled in EXACTLY as it is written in your passport! Please note, that this travel is organised in the English language. In case you do not understand English well enough, you must make sure that all the information regarding the Pilgrimage, as well as general communication during the trip is translated for you. Attention! Please be aware that your passport MUST be valid for a minimum 6 months after your date of return! For this trip you will have to provide the travel health insurance covering home-transportation in case of emergency. If you already have a worldwide insurance valid for the period of the trip, please, upload it and specify the data below. If not, you will have to provide it within 2 weeks after your participation will be confirmed by Guruji. Important: the name of the file you upload above (your insurance scan) MUST be "YourLastName-YourFirstName.jpg"
I am voluntarily participating in this travel, and assume all risks of injury, illness, or death. Furthermore, organisers are not responsible for any loss of my personal property. Pictures and videos I will take on this journey are only for my private use. At the end of the travel, I will hand a copy of all the material to organizers. Please take necessary connection cables for your device. All participants must be in time at the airport of Toulouse for the transfer, otherwise, the participant must pay his transfer to the hotel himself. A good physical and mental state of health are required for a journey participation! After Swami decides that you can join this Pilgrimage, please, make sure to complete the prepayment of 1500€, directly after you receive the OK. Please be aware that in case you are unable to come, this first payment is non-refundable, unless we find a replacement (fees of 200€ will be charges in any case). Please register only, if you are able to pay the full amount. Note: The travel is organised in English language. In case you do not speak English well, please be aware that we will not provide any translators, therefore, you must make sure that all the information regarding the Pilgrimage, as well as communication during the Pilgrimage is translated for you. I am aware that in case of cancellation, the prepayment is not refundable.